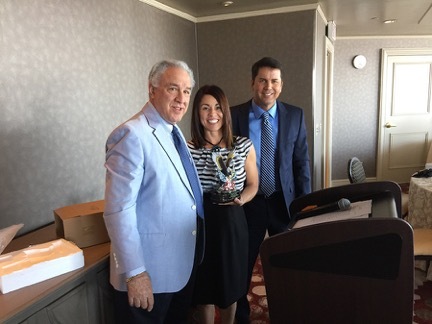 The Educator of the Year program, now in its 24th year, was founded by the Kiwanis Club of Las Vegas in 1992 to recognize outstanding “Unsung Education Heroes” at the High School level in the Clark County School District (CCSD). The program was the brainchild of Kiwanian Ned L. Jacobs, who had been Director of Kaplan Education Corporation in San Diego before becoming Executive Director of the Lied Children’s Discovery Museum in Las Vegas. 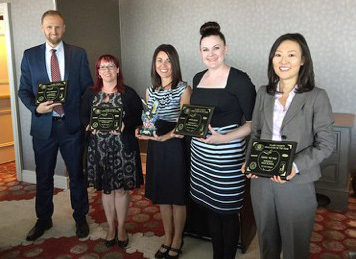 Congratulations to the five teachers selected as finalists for the Kiwanis 24th Annual Educator of the Year. Once again, by the quality of the nominees we know that there are many outstanding educators in our high schools, making it a difficult decision for the committee to select the top five finalists.